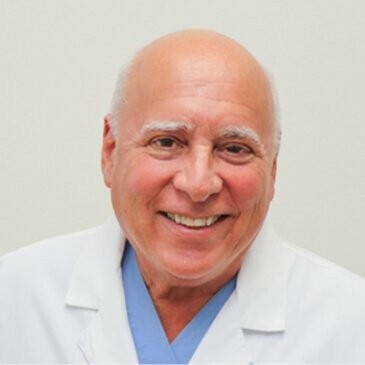 Dr. Joseph Purita, a pioneer in the use of Stem Cell and Platelet Rich Plasma for orthopaedic conditions, graduated from Georgetown University Medical School and served his surgical internship at the University of Florida Medical Center. Following completion of a residency in orthopedic surgery at University of Miami-Jackson Memorial Hospital, where he served as chief administrative resident, Dr. Purita joined the Boca Raton Orthopedic Group in 1981. Dr. Purita is an instructor and proctor of surgeons in the use of lasers in arthroscopic and orthopedic surgery at a variety of area hospitals. US News and World Report’s "Top Doctors"! The Physicians at Doximity named Dr. Joseph Purita one of US News and World Report’s "Top Doctors"! Feb. 2014: Mexico A4M invited as a visiting professor for the Fifth Annual American Academy of Anti-Aging Medicine Mexican division. March 2014: Invited Participant of "Orthopedics Today" newspaper symposium as to how the American Academy of Orthopedic Surgery needs to get involved with stem cells. This symposium is by invitation only. April 2014: Invited speaker and Faculty member of the 33rd Cherry Blossom Seminar in Orthopedics. Washington,D.C. April 2014: Invited Speaker and Faculty Member for Select Biosciences Meeting in Palm Springs, California. Gave both didactic lectures and assisted on cases. May 2014: Faculty member for pre-conference workshop on Aesthetics and Hair Transplantation at American Academy of Anti Aging Medicine. November 2014: Invited speaker Doha GOALS (Gathering of All Leaders in Sport) Forum, in Doha, Qatar from November 3-5, 2014, under the High Patronage of His Highness Sheikh Tamim bin Hamad Al Thani, the Emir of Qatar and the patron of Doha GOALS. November 2014: Invited Speaker in Manila, Philippines Chair on Stem cells and PRP. Dec. 2014: Invited speaker 22nd Annual World Congress on Anti-Aging, Regenerative and Aesthetic Medicine on December 11 - 13, 2014 at the Venetian/Palazzo/Sands Expo in Las Vegas, NV. Feb. 2015: Select Bioscience Tissue Engineering & Bioprinting in Boston, February 9-10, 2015. speaker on Stem Cells and PRP. March 2015: Invited Lecturer at the American Academy of Pain Medicine Washington, D.C.
Dec. 2015: Invited Lecturer America Academy of Anti-Aging Medicine Las Vegas Nev.
May 2016: Sao Paulo, Brazil Invited Lecturer and Proctor for the Orthoreg meeting. November 2016: Shanghai, China Chair of Stem Cell Meeting. December 2016: Kuala Lumpur, Malaysia Invited lecturer For Stem Cell meeting with emphasis on V cells.